Not all NFL running backs are as lucky as Lamar Miller. He was fortunate enough to land in a perfect spot during the 2016 NFL free agency period. Miller went from the Miami Dolphins, who really didn’t give him the ball as much as they should have, to the Houston Texans who may very well rely on him consistently throughout 2016. If Miller wants more touches, he will find them in Houston. A few other NFL running backs are still sitting in reserve roles, when it’s pretty apparent that they could be solid starters on teams elsewhere in the league. That’s where we jump in and break down four current running backs who would be good — if they had the opportunity to play for one of the running back-needy teams. Let’s start with the man who’s stuck behind Adrian Peterson. 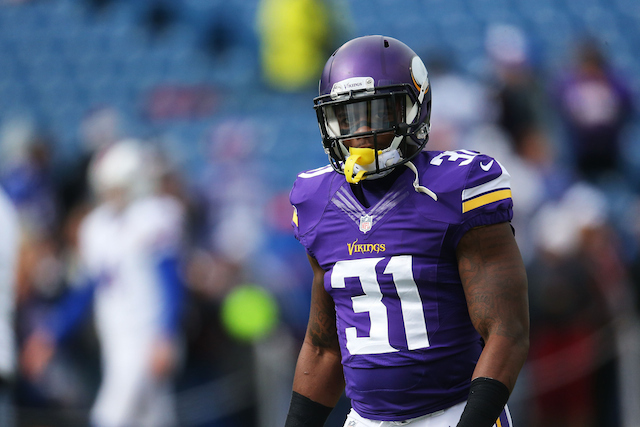 When Jerick McKinnon was unable to completely dominate in place for Peterson during his rookie year, some people were concerned. With that said, let’s not forget that McKinnon was only a rookie during that season (2014), and he still rushed for 538 yards on a 4.8 yards-per-carry average. Then in 2015, with Peterson back in the mix, McKinnon was handed only 52 carries, but still averaged 5.2 yards-per-carry, totaling 271 yards and two touchdowns. He also proves to be an impressive threat in the passing game, as he’s caught 48 balls over two seasons, good for 308 yards, and an additional receiving score. It’s obvious that McKinnon is improving, and the Vikings may wind up losing the young back if Peterson is able to continue playing at such a high level. During his rookie season, Karlos Williams was basically a touchdown machine for the Bills. He found the end zone nine times (seven rushing, two receiving) and also averaged 5.6 yards-per-carry. The problem? Williams received just 93 carries because he was stuck behind LeSean McCoy on the depth chart and dealing with some injury issues. If Williams were on a different team, there’s a chance he could wind up as the starting running back and be a force running the ball. The second-year back from Florida State was selected in the fifth round by the Bills, but it’s obvious that the team landed a steal when they drafted him. It’s tough sledding for Andre Ellington. It seemed like he would be the guy for the Cardinals, but he can’t seem to stay healthy. The fourth-year back has missed 11 games over his three seasons in the NFL, but in the two seasons he played when he wasn’t hurt (2014 and 2016), he averaged 5.5 and 6.4 yards-per-carry respectively. Unfortunately, Ellington saw just 45 carries last year, but turned them into 289 yards and three scores. To top it off, he caught 100 passes over his three years for 914 yards and three additional touchdowns. Ellington has the ability to do a little bit of everything, but unfortunately he’s stuck behind second-year back David Johnson and veteran Chris Johnson on the depth chart. Can someone trade for this guy? 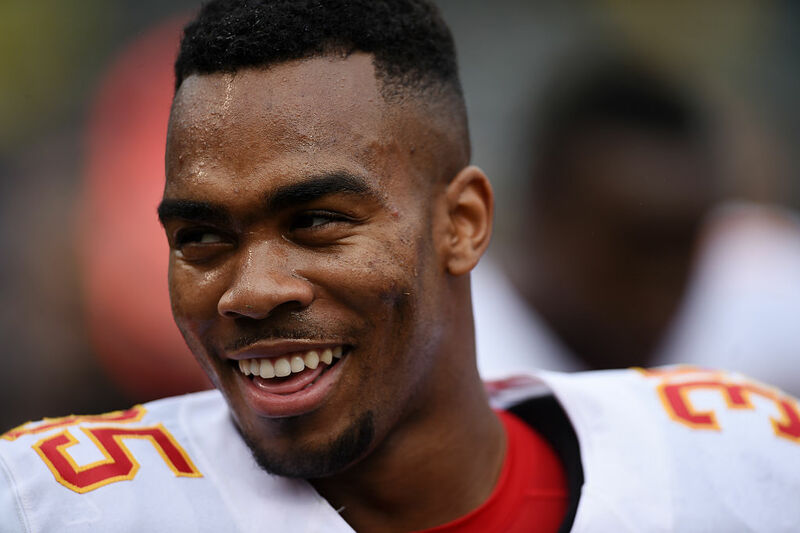 Let’s clarify this before anything else: We know that Charcandrick West is good because he’s proven it. Last season, when Jamaal Charles went down with an injury, West stepped up and rushed for 634 yards, with a 4.0 yard-per-carry average, while also scoring four touchdowns. Unfortunately, he’s locked into a crowded backfield that not only features Charles, but also Spencer Ware. Even if Charles somehow winds up not with the Chiefs in the future, West will still have plenty of competition for touches. Overall, West would be better suited to land on a team that needs an every-down NFL running back, as he’s capable of handling that role. He signed a contract extension this offseason though, so it seems unlikely that he’ll be anywhere other than Kansas City in the near future.